As always in the series, Tropico 6 has a lot of things for you to keep an eye on, most of which involve your population. Here’s everything you need to know about how to increase liberty in Tropico 6 and why it is important. Liberty is a happiness rating of sorts that influences how your population feels about where they’re living. As you build important buildings such as Government buildings and Military bases, liberty will begin to fall. If you let it drop too low though, your citizens become more likely leave your Tropico 6 setting, vote against the current presidente in elections, or join protest groups. Liberty will slowly rise at the beginning of the game, and you won’t need to pay it much attention, but it’ll suddenly become something you need to think closely about. Since closing down important buildings that are having a negative effect on liberty is not an option, you need to counter it somehow. The way to do that in is to build other things that increase liberty. The best option to increase it is setting up Newspapers. Developing them in residential areas will increase the happiness of the population living there. Alternatively, you could build schools and libraries, but you will need to put some research into each one to ensure that you’re offering the best options to citizens that will increase liberty. Once those things are set up, you should see the rating begin to even out and your people begin to be happier. 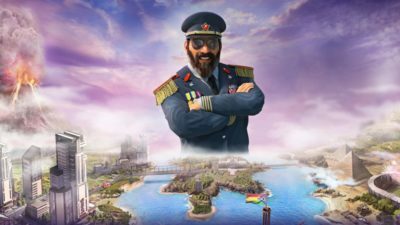 That’s everything you need to know about how to increase liberty in Tropico 6 and why it is important. For more tips and tricks on the game, be sure to search for Twinfinite.